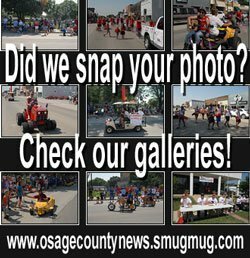 The grand opening of the Doren D. Fredrickson Arena at the fairgrounds in Osage City is scheduled for 6 p.m. Wednesday, June 24, 2015. A ribbon cutting ceremony will be held to officially open the new facility and thank the generous donors who made the project possible. 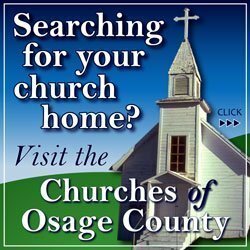 In 2004, the Osage County Fair Association began a building fund with a significant donation from the family of Dale Scheid. Dale was the livestock superintendent of the fair and an Osage County 4-H alum who unexpectedly passed away. His family designated his memorial for the purpose of replacing the aging 1940s barns at the fairgrounds. In 2013, Ron and Pat Frederickson came to the Osage County Fair Association with their desire to provide a significant donation to the community in memory of their son, Doren D. Fredrickson. Upon learning of the project, other donors, who wish to remain anonymous, also made a generous donation to the building fund. Over the years, numerous other donors contributed money to the fund. Also, as construction progressed on the building, various contractors and organizations in the area donated both their time and material to help put the finishing touches to the facility. Everyone is invited to attend the June 24 ceremony to help the Osage County Fair Association and area 4-H and FFA youth say thank you to the Fredricksons, Scheids and the other numerous donors, who will also be recognized at the ribbon cutting. Thanks will also be given to the contractors, Brad Meek, of Quality Built Pole Barns, and Bill Orender, of Orender Services Unlimited. At the conclusion of the ribbon cutting, cake will be served. Each exhibitor at this year’s fair will receive a commemorative ribbon to mark the occasion. Special commemorative T-shirts will also be for sale during the fair. The ribbon cutting ceremony will be followed by the dairy, beef and bucket calf show at 6:30 p.m. Wednesday. 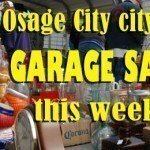 Information thanks to Sally Wilk and the Osage County Fair Association.